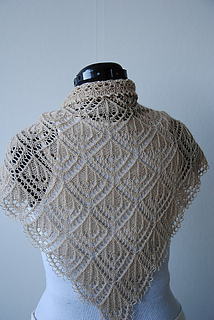 This is a bottom up two-sided lace shawl. The pattern reminds me of small crystal chandeliers. 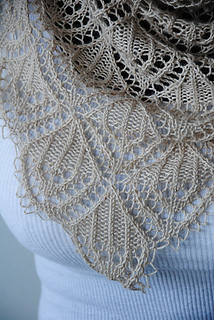 The delicate edging on the sides are made from yarn overs and the top edging is bound off using picot bind-off. 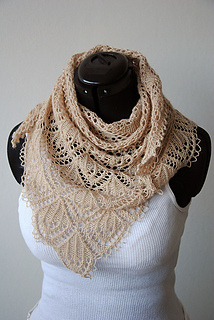 The shawl can be repeated for as many times as you like. The sample is knitted with 6 repeats and measures 130x70 cm. 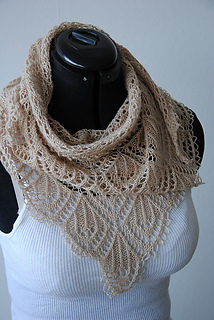 This is an intermediate-advanced lace shawl due to the two sided lace. The english version have both written and charted instructions and the swedish version have only charted instructions. Please feel fre to contact me if you have any questions. You are welcome to join my Ravelry group. 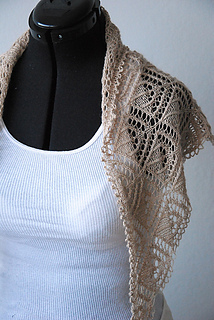 Thank you to my lovely test knitters: MarieInSweden, Dessi9, Sherpa and Svet-Lanka.